Where to view – where to board – Baltimore’s goodwill ambassador, home for the holiday. After 2,700-plus nautical miles of travel, Pride of Baltimore II returns to Baltimore tomorrow (July 1) for a grand homecoming. 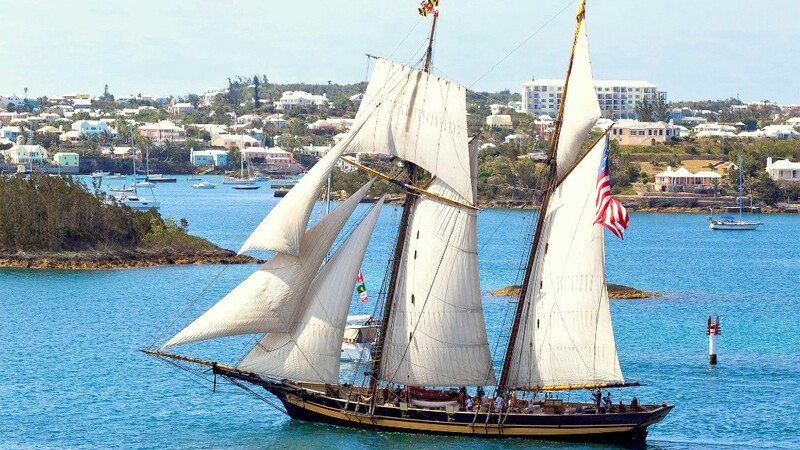 During the last two months, the topsail schooner, reminiscent of Baltimore’s famous 19th-century clipper ships, has scooted around the Atlantic and Caribbean, participating in regattas and races from Boston to Bermuda. The ship, owned by a nonprofit that serves as a goodwill ambassador for Baltimore and Maryland, was launched in 1988 and has so far visited over 200 ports in 40 countries. It replaced the first Pride, which was lost at sea in 1986 (her captain and three crew members drowned) when hit by a white squall 240 miles off Puerto Rico. Upon her return tomorrow, Pride II is scheduled to pass under the Key Highway Bridge around 11 a.m., according to Pride of Baltimore, Inc. Executive Director Rick Scott, then reach Fort McHenry around 11:15. She can viewed from various vantage points – Constellation Pier, National Aquarium, World Trade Center, Science Center, Federal Hill, the Rusty Scupper, Domino Sugar plant – arriving and turning around in the Inner Harbor between 11:45 a.m.-12 noon (if all goes as planned). She will then backtrack to the foot of Broadway in Fells Point, where she will be berthed and open for free deck tours between 1 p.m. and 7 p.m. The World War II Liberty Ship S.S. John W. Brown will also be docked at Broadway Pier tomorrow. On July 2 and 3, Pride II will be moored at the Fort McHenry National Monument in Locust Point, where free deck tours are available from 10 a.m. and 1:30 p.m.
On July 4th, the ship will dock at the Inner Harbor for more free deck tours. Beginning at 9 p.m., the boat will be open to visitors for a viewing of the annual Inner Harbor fireworks display. Tickets for fireworks viewing are $25 each.